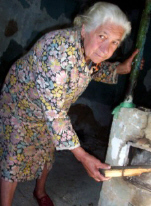 This DFID funded research project conducted in Albania, Moldova and Kyrgzstan sought to identify the implications of government reform of the energy sector on the urban poor with a view to influencing policy to mitigate against any ill effects. As part of the part of the energy rich Soviet Union all three countries had enjoyed a stable energy supply as part of a wider grid and had thus become very electricity dependant in their lifestyles. Since the fall of communism however this grid has been steadily crumbling leading to many nations embarking upon reforms that while necessary will almost certainly lead to increases in cost and/or reductions in supply. The recommendations developed are of great value to all governments and private utility companies planning any form of reform.